What Will 2015 Bring Us? Duncan Duo Tampa Real Estate Video Blog: What Will 2015 Bring Us? The end of the year has arrived, so it's time to make our Tampa Bay real estate predictions for the new year! This last year was a fantastic one for real estate in our area, as we saw fantastic appreciation across a lot of Tampa neighborhoods. It's important to keep in mind that when Zillow, Trulia, and Realtor.com talk about home appreciation, they're referring to a very broad area of Tampa. What's truly important is what's going on in your neighborhood. 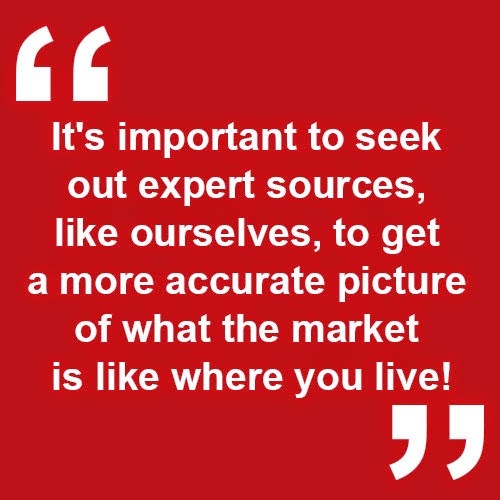 It's important to seek out expert sources, like ourselves, to get a more accurate picture of what the market is like where you live! Across many neighborhoods we saw appreciation of 10%-15%, with some neighborhoods seeing appreciation rates as high as 20%! We're expecting this trend to soften a bit in 2015 as interest rates rise, but the stability we've experienced over the last year is here to stay. While rates are expected to rise next year, they will still be quite low when compared to the 10-year average. People have the ability to move up and sell homes they couldn't sell before because of the low rates. Three to four years ago, Tampa was losing population. Now, our community is growing again and real estate activity continues to grow. In fact, the increase in demand for homes has outpaced the supply of available homes. New development and new construction have been instrumental in bringing people and jobs to our area. Redevelopment of the Channelside District will create some new inventory, commercial development, and, most importantly, will bring more jobs to our community. Overall, the economy has made some considerable improvements. All the factors mentioned above lead to a healthy Tampa real estate market. We're expecting that we'll continue to see increases in the number of home sales as well as increases in home values. We're currently in a sweet spot for buyers and sellers; as home prices rise and interest rates rise, conditions will be less favorable. NOW is the time to make your move in Tampa, while conditions are still favorable! If you have any questions about market conditions in your area, or if you have any real estate questions at all, please give us a call or shoot us an email. We would love to hear from you!